A Beautiful 19,597 sq.ft Leucadia Estate located in the Seaside Ridge Covenant with peak Ocean Views. Built with the highest quality material alongside a well thought out floor plan. 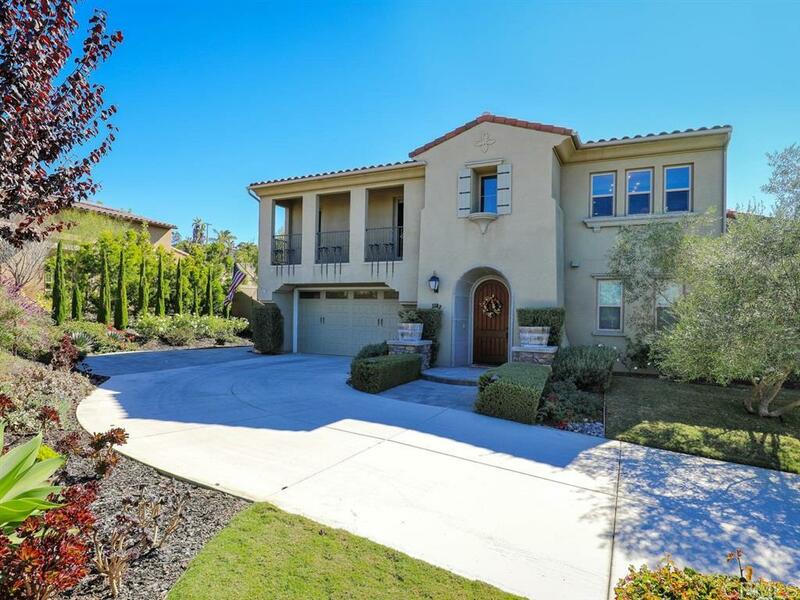 A very spacious and bright 4,066 sq.ft home, 5 bedroom, 4.5 bath, plus a bonus room. Bottom level suite, retractable folding doors, High ceilings, 20' stone fire place, large custom pool with retractable cover and water features, hot tub, outdoor entertainment area with Bar, BBQ, and TV. Solar Panels, Tankless water heaters., Home has been upgraded with custom wood shelves and storage, wine fridge, play house and play structure. This home is located close to Capri School, Freeway, and Stores. Additional Upgrades include: White painted Shaker cabinets in Kitchen with Dove Tail drawers with full extension glide and soft close feature and brushed nickel bar pulls. Kitchen has upgraded River White Granite on counter tops with full back splash. Kitchen island has elegant Ceasarstone, color "Haze" plus upgraded Kohler 8 Degree single basin sink. Master bath has upgraded vanities and tub deck in elegant Bianco Carrara Marble with upgraded cabinet panel tub skirt. Powder room has River White Granite counter top. Secondary Bath 2 has upgraded backsplash in Slate colored Penny Round. Bath 3 has upgraded backsplash in contemporary Silvery Ice Glass tile. Bath 4 has upgraded backsplash in glass and tile mosaic pattern, "Soho Cloud". Glass Bi-Fold Doors at Family Room overlooking yard. Pre-wired for home theater and music. Upgraded Frazier fireplace surround 14 Panel Solar System on roof, with additional solar panels!